Recently, there was a referendum. It was a near whitewash out of the 35.2% turnout, with all but one county voting “yes”. All but Monmouthshire wanted the extra powers, though the count in Monmouthshire was less than unanimous, with just 320 votes in it. This has awakened a new debate for the county. 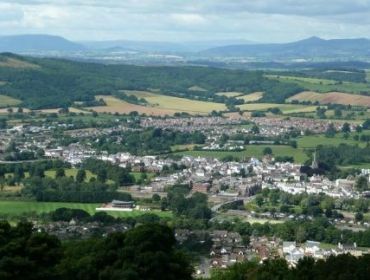 A political party wants to referendum on making Monmouthshire part of England. At their spring conference in Middlesex, the English Democrats say they want the vote to settle the issue. The party states that residents need the final say in an old debate. 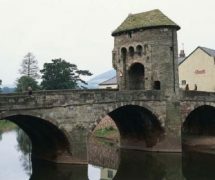 According to history, Monmouthshire has been part of the old Welsh county of Gwent and its English neighbour, Herefordshire. Though it was a slim win for the “no” party in the Welsh referendum, English Democrat’ chair Robin Tilbrook said that the 35.3% turnout in the county was also an indicator of the local electorate’s feelings towards the assembly. Tilbrook told BBC Wales that a “democratic decision” was the best way to settle the question. The county’s status as a Welsh county fell into doubt in 1543 when it was omitted from the second Act of Union which established the Court of Great Sessions legal system in Wales. 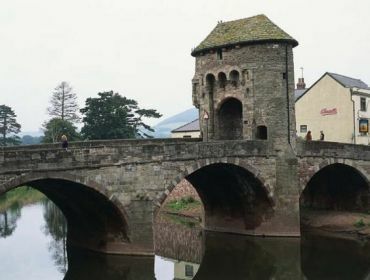 This resulted in some Welsh laws were deemed to not apply to Monmouthshire until 1900. Its status as a Welsh county was reconfirmed in 1974, when the administrative county was replaced by Gwent. 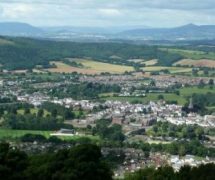 A smaller, mainly rural council named Monmouthshire was created in 1996 in the local government reorganisation. In contradiction to the English Democrats’ want of a referendum in the county, Monmouth MP David Davies told BBC Wales the whole argument was “nonsense”, adding that Monmouthshire has always been a part of Wales and was only legally separated to make Hanry VIII’s life easier. Mr Davies said that the vote of “no” in the Welsh referendum did not necessarily mean that the county has intentions of becoming part of England. Brian Hibbard, a Welsh actor and singer, was born in Monmouthshire and a self confessed “passionate Welshman”, adding his opinion that the county should be “split down the middle” between the people who see themselves as either Welsh or English. Your opening of this article is really funny, it reminds me of the editorial meeting last night……”It’s not a WAR”! I’d just like to say…..